If you’ve been on the hunt for a 32-inch 4K TV, your search has probably left you frustrated and confused. You may have noticed a lack of 4K options when it comes to a television of this size, and there’s a reason for that. 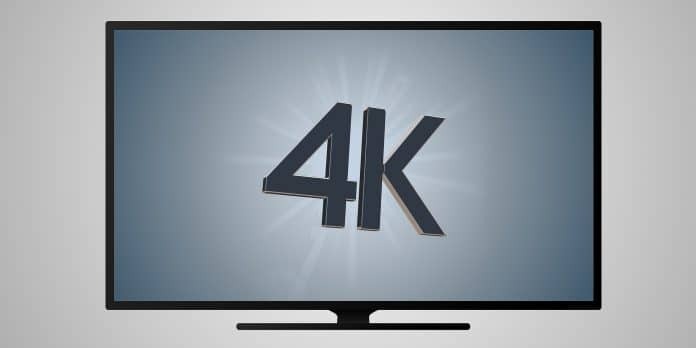 Most technology brands are opting to not manufacture 4K mdels under a 40-inch size. No matter if you have a small space or just really don’t want a larger set taking up room, if you have your heart set on a 32-inch 4K TV, you do have other options. While you may not be able to specifically locate a 4K television of this size, 32-inch 4K monitors abound. Particularly if you’re running low on room or want products that are ultimate multi-taskers, one of these monitors could easily be set up to accommodate both your entertainment and productivity needs. 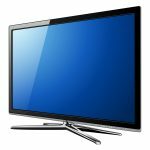 Are there any 32-inch 4K televisions currently being manufactured? No. Currently, the smallest 4K TV sets come in a 40-inch size. What can I buy instead of a 32-inch 4K television if I really want to stick with that size? You could instead opt for a 32-inch 4K monitor. If you don’t mind upgrading in size, you could also choose a 40-inch 4K television. In some instances, purchasing a larger television over the monitor could be less expensive. 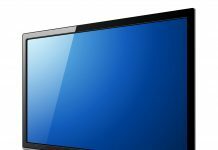 Can I watch television on a 32-inch monitor? Yes. With some additional equipment, a monitor can be converted for watching network or cable television programming. 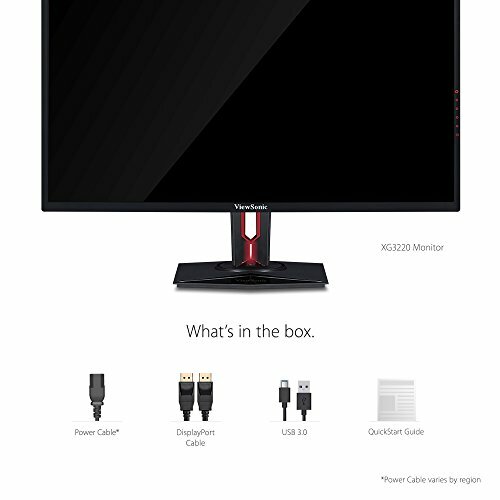 What supplies will I need to watch television on my monitor? To access network television, you’ll need a TV tuner and an antenna to catch a local signal. For cable television, you’ll require a cable box. 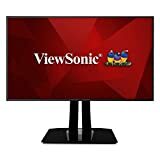 Although all of the monitors that we discuss in this overview do come equipped with audio speakers, many of them wouldn’t be considered top notch. You may choose to use or purchase higher quality speakers. We’ve spent hours combing through available models to pinpoint must-have features, prices and overall owner satisfaction. We’ve compiled this list based off our extensive research on 32-inch monitors. We’ve taken into consideration which monitors offer the best and most impressive features, as well as which ones boast the highest number of happy owners, and what about these particular models make users so satisfied with them. 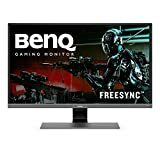 You can find monitors in a variety of price ranges. The ones that we feature in this review fall between $360.00 to nearly $1,000.00. You’ve already learned that it’s nearly impossible to stumble across a 32-inch 4K TV, but 32-inch 4K monitors are quite another story. As you consider purchasing a monitor rather than a television, you’ll find that your options expand immensely. With tons of technical features available on a wide selection of screens, comparing as you shop can quickly become overwhelming. We’ve compiled our list of top 10 32-inch monitor picks to make choosing the one best for you a breeze. 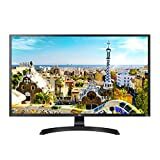 This monitor is a solid choice if you plan on doing much more than just viewing television and undergoing marathon movie-watching sessions. Particularly, the ViewSonic XG3220 may become the most prized possession in your home if you’re an avid gamer. 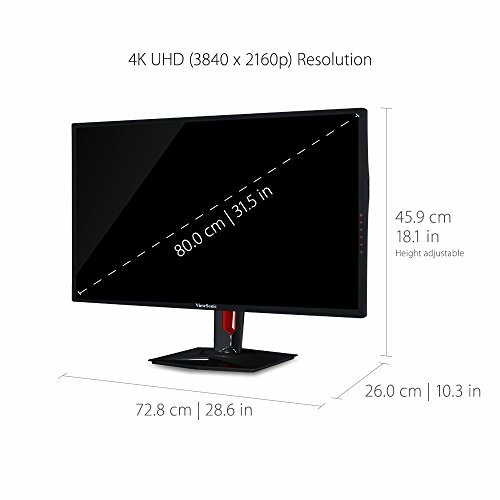 With a resolution of 3840 x 2160p, the monitor displays images that appear clean, crisp and sharp. When the screen’s impressive resolution is paired with its responsive refresh rate and quick response time, gaming is elevated to the next level. This monitor is for you if you want to binge in comfort. Whether it’s streaming, television, web browsing or gaming, this screen is packed with features to make viewing feel great while lessening the strain on eyes. The BenQ EW3270U comes equipped with Brightness Intelligence Plus technology, which takes into account both the lighting in your room and the content being viewed on-screen to automatically adjust the color temperature and brightness. The screen is easy on the eyes thanks to Flicker-Free technology and its low blue light emissions. At $490 - $510, AOC’s 32-inch monitor is one of the lower-priced options on our list, but it still comes equipped with most of the same specs included on the other models. Features include a 60Hz refresh rate, the ability to transmit crisp and clear images thanks to its 4K Ultra HD resolution, and Flicker-Free technology for a reduction in eye strain. When both colors and images matter, this LG 32-inch monitor delivers. The screen matches the current color standards adopted by the film industry, which means that it can convey an exceptionally wide array of colors. It’s also compatible with HDCP 2.2, meaning that video streamed from game consoles, 4K services and from Ultra HD Blu-ray disc players can be viewed as intended. Samsung’s 32-inch monitor is all about accurate colors and crisp images, making it perfect for applications related to design, watching videos and photo viewing. Details are seamlessly enhanced as HD, Full HD and even Standard Definition content is converted nearly to UHD-levels of quality thanks to Samsung’s own UHD upscaling technology. 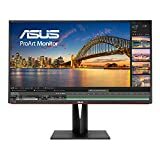 While the price can appear a bit steep initially, the ProArt 32-inch monitor from ASUS packs some stand-out features that justify a heftier price tag. Enjoy natural, vivid and accurate color display for images and video thanks to the screen’s support of Rec 709 color space and 100 percent sRBG color space. It’s also equipped with a multitude of ports for the ultimate in connectivity. When the clarity of the visual matters most, turn to the exceptional color accuracy and processing ability of ViewSonic’s VP3268 model. The screen boasts access to a color palette of 4.39 trillion hues thanks to 3D and 14-bit LUT. This means that this monitor has the power to do it all and will look great while doing it. Not only will television and streaming content appear vibrant, but so will any applications geared toward a more professional nature. 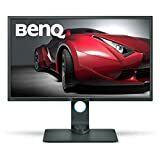 This BenQ Designer monitor is a great choice if you’re the creative type that will be looking to do more than use the screen for entertainment purposes. 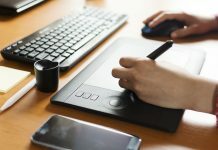 The monitor’s various modes, such as CAD/CAM (computer-aided design and computer-aided manufacturing), Animation and Darkroom, provides an amazing array of color precision to make easy work of creating the perfect image, design or video. With a color gamut that covers the color space range of 95 percent of the DCI-P3, this 32-inch 4K UHD monitor from LG promises vividly rich image viewing and video watching. The screen’s 4K resolution is paired with HDR10 compatibility to ensure that anything displayed on it appears to be simply stunning. With a super-thin bezel, an attractive white gloss rear backing and a silver-look streamlined stand, this model will also look aesthetically pleasing in any room in your home. The Acer Predator 32-inch model will not disappoint if you truly wish to take your love of gaming to the next level. 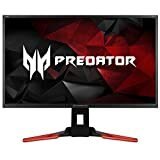 You can expect vivid image and video display as with the other models included in our overview; however, the Predator takes it a step further by eliminating screen tearing thanks to NVIDIA’s G-Sync technology. An ergonomic design, and features meant to lessen eye strain, ensure that you stay in the game longer. If you’re searching for a monitor to function as a 32-inch 4K TV, then you really can’t go wrong with the impressive options that we’ve included in this overview. All of these provide amazingly crisp, clear pictures with accurate color rendering. When you’re making your final choice, we recommend focusing on which monitor will fall within your budget, whether that be a $400.00 model or one that runs a bit pricier. Take into consideration any other functions you may opt to use it for in the future. 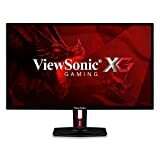 For example, hard-core gamers should definitely take a closer look at either ViewSonic’s XG3220 or Acer’s Predator XB321HK. Designers and other artists will surely appreciate creative-specific features that can be found on models such as the ASUS ProArt Professional or the BenQ PD3200U. 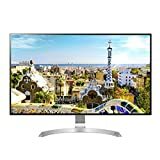 No matter your final decision when it comes to purchasing a monitor, any of these recommended models will provide you with a display that can easily fill the role of a small television with stunning picture quality.